e is continually educating himself and his staff on the latest technique and approaches to provide his patients with state of the art, comfortable and professional dental care. Dr Uppal prides himself in having an artistic eye with gentle and skillful hands. His personal goal for his patients is to provide a comfortable dental experience using the right dental material with minimal Chemical exposure, keeping the patient’s whole body in mind to attain balance and well being. His key strengths are his patience, attention to details, his gentle, caring and approachable nature. He believes that good dentistry is a blend of creativity, modern techniques and vision. Dr. Uppal has special interest and skills in General and Implant Dentistry with a holistic approach. His passion is to create beautiful smiles through cosmetic and Implant Dentistry. Dr. Uppal graduated from one of the most prestigious dental school in Boston,MA, more than 10 years ago. He received his implant training from UMDNJ (University of Medicine Dentistry in New Jersey). 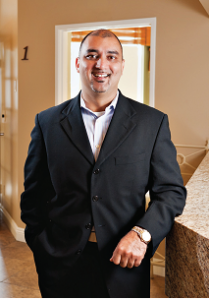 In the following 6 years after his Implant training, Dr. Uppal has performed over 1000 implant surgeries. He is also recognized as Fellow of International College of Implantology.